From March 26th 2015 tariffs of up to 12% on stainless steel strip, coil and sheet will apply to Taiwanese products while those from China will attract duties of up to 25.2%. Stainless steel imports from China and Taiwan grew by more than 300% between 2010 and 2014, a figure that was was more affected by overcapacity in the two countries than growth of European stainless steel markets. Inves­tiga­tions after complaints in 2014 by Eurofer, the steel producer’s association in Europe, revealed that Taiwan and China had exported around €620m of stainless steel to EU countries in 2013, capturing 17% of the market and selling at prices considered to be unfairly low - a practice known as ‘dumping’. 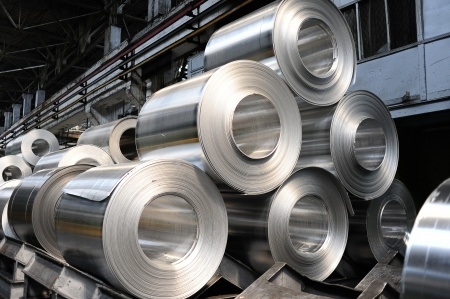 Shares in stainless steel-producing companies rose in response to the duties, which are provisional and depend upon the outcome of a further investigation due to end in the autumn. Analysts have said that the tariffs will have considerable impact on Chinese and Taiwanese stainless steel sheet imports and that capacity utilisation for steelmakers in Europe will rise from the 2014 figure of 64% to more than 80%. Lower imports will offer a further boost and base prices are set to improve. An ‘ample supply’ from other countries outside of the EU means that competition would not be limited by the new duties, according to Eurofer. An investigation into possible subsidies for chinese producers , which would be in breach of the law, is running parallel to the ongoing inves­tiga­tions into stainless steel dumping and both are due to end this September when the situation will have become clearer. For more updates on this important story, which will have effects right across the stainless steel industry, please subscribe to our newsletter and connect with us on social media. BS Stainless - your partner for stainless steel.